Cities with successful bike share programs have waived or rescinded laws requiring helmets for cyclists — at least, for adult cyclists. Thousands of people riding bikes in the thickest of traffic, without helmets. In the Land Of The Free, they have the right to bare heads. But then, you can see the same thing in Paris, London, Dublin, Barcelona, Tel Aviv ... I could go on. All those cities have successful bike-share programs. One of the biggest challenges of making cities more bike friendly is that most of the road space is already "used up." Adding bike lanes means removing something. That's when a bit of perspective comes in handy. Convincing your city's decision-makers and other citizens to replace some car infrastructure with bike infrastructure can be a huge challenge. Unfortunately, arguing that shifting more people to bicycling will free up space on the roads and reduce congestion isn't always effective. So, how have other cities succeeded in breaking through the anti-bike barrier? COGOO Clean City Organisation - Saddle Blossoms from tbwaasiapacific on Vimeo. Today “Gridlock” Sam Schwartz and Gerard Soffian, both former officials with NYC DOT, said the city should amend laws that treat cyclists and motorists the same. One of their recommendations is to lower the fine for cyclists who run red lights. “Right now, penalties against bicyclists who run red lights are up to $270 — identical to car driver fines, even though the consequences, in terms of injuring others, are much fewer,” they wrote on CityLand. Schwartz and Soffian suggest a fine of $50, payable to the city Department of Finance, rather than the Traffic Violations Bureau, a Department of Motor Vehicles division that splits ticket revenues with the state. 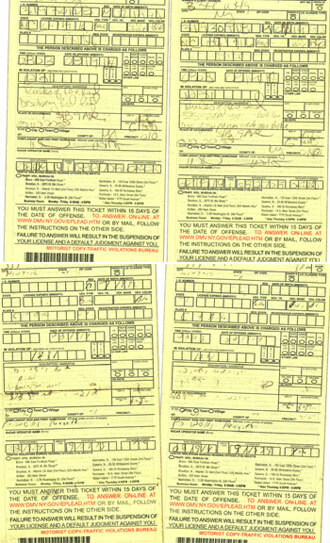 The four tickets an officer issued to a cyclist on Ninth Avenue in a single traffic stop. Here’s an example of how screwy the current penalty structure is. The going rate for killing someone with a car while driving without a license in NYC is $500. And depending on where you commit the crime, the DA might let you off with half that much — even if you have an outstanding charge for unlicensed driving. Safe passage: Pennsylvania law mandates that drivers give cyclists a 4-foot buffer when passing. It isn't often that lawmakers spend years shepherding legislation they know will likely not be enforced. Yet when it came to state Rep. Ron Miller's "Safe Passing" bicycle bill — a law designed to give cyclists a buffer from drivers — that's exactly what he foresaw. "From day one, we suspected it would be very hard to write citations, because it's a judgment call" for law enforcement, says Miller, a York Republican. Overwhelmingly passed by the legislature and signed by Gov. Tom Corbett in February 2012, the law was celebrated as a win by many bike advocates, who have successfully lobbied 25 state governments nationwide to pass similar measures. "The state of Pennsylvania took a huge stride toward improving our Bike Friendly State standing," declared local advocacy group Bike Pittsburgh the day after Corbett signed the legislation. From Guillaume Blanchet, Filmmaker: "I love being on a bike, it helps me feel free. I get it from my dad. After days and days of cycling the streets of Montreal, come cold or sun, or even a little frightened, I dedicate this film to him." 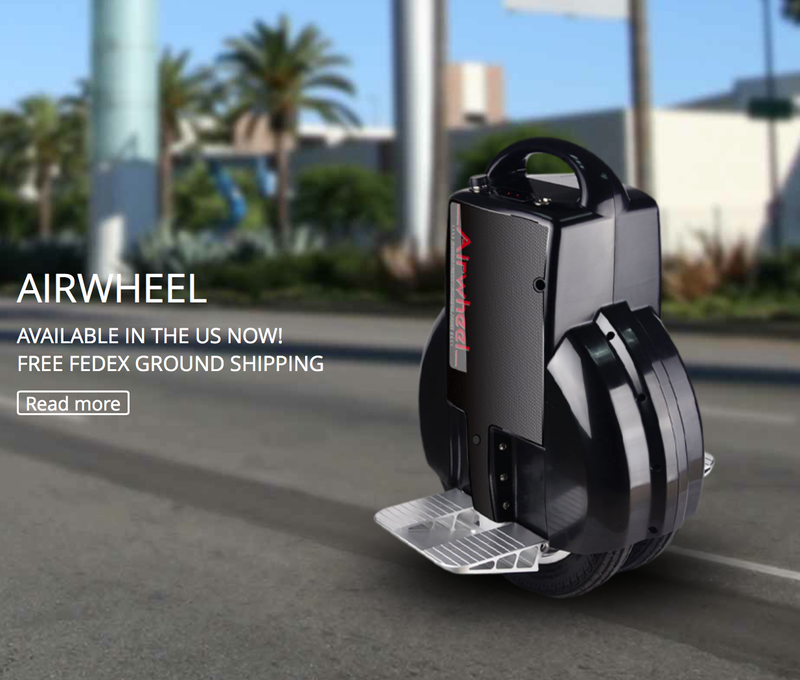 Airwheel is the worlds leading producer of one and two wheel self-balancing unicycles. Airwheel is developed and made in Changzhou, China, and comes in several different models with both one and two wheels. Advanced gyro stabilizing software, combined with altitude control software from aerospace technology. Riders can control the vehicle by leaning forward or backward. Similar to the techniques of riding a bicycle, the riders achieve balance on Airwheel by slightly tilting sideways. Airwheel is a green and smart vehicle, powered by electriciy, and can easily be carried into buses or subways, facilitating daily commuters. The airwheel drives at up to 10mph with a normal speed of 7-8mph. A warning beep is heard when speed gets above 8mph and the standing platform will lean gently backwards to avoid further acceleration. The range varies from 6 to 25 miles depending on battery size, body weight, terrain, speed and temperature. The range of the Q3 170Wh model currently in stock in Oregon is 7 to 15 miles. In our tests measured with GPS, a 160lbs person driving in city with freaquent start/stops we have reached 7 to 10 miles on a single charge with with the Q3-170Wh model. Safety is of great importance and the Airwheels all have safety mechanicsm to provide safe riding. There unit will beep and tilt slightly backwards to slow down the user when battery is getting low. It will also warn should technical error occur. The lithium batteries are imported from Japan, and are made by SONY, SANYO or PANASONIC (depending on production date). They are rated for 1800 charge cycles, and are UN38.8 certified. London plans to spend more than a billion dollars on better bike infrastructure over the next decade, and across the rest of the U.K., the government will spend hundreds of millions more. The only problem: There's very little data about where cyclists ride, making it difficult to plan exactly where new bike lanes are most needed. A new iPhone app aims to help by tracking routes as people ride and and turning that data into maps. When volunteer cyclists install the app, called WeCycle, it automatically begins mapping. It runs continuously at low power, and senses when someone starts to ride, rather than forcing someone to start and stop the app each time. "A cyclist can see the routes it's recording on a map in the app, and all of that data then is automatically synched on our service to generate this aggregate picture of how cyclists are moving around," explains Peter Lindgren, COO of TravelAI, the company that developed the app. "It shows how cycling fits into the bigger transportation picture as well." For cities, it's not only a way to plan new routes, but to better understand how to take care of existing bike paths. "When local authorities are trying to improve cycling infrastructure with the resources they have available, it's very hard for them to know where to spend that money," says Lindgren. "Even just knowing where to focus their resources on filling potholes on cycle lanes. They just don't know which are the busiest cycle lanes. We felt like there was a real need for cyclists to be better represented in the data." CLEVELAND, Ohio -- A big, bold way to connect Cleveland neighborhoods, pump up businesses and add tree-lined bikeways to miles and miles of city streets is hiding in plain sight. The paved-over tracks of Cleveland's once-extensive streetcar network left some of its main avenues far broader than needed for the traffic they're handling. Bike and community advocates say that buried transit system can be transformed into "the Midway" -- a center-of-the-road, two-way bike lane protected on either side with boulevards, with a lane of traffic and a parking row on either side of that. Members of Bike Cleveland, St. Clair Superior Development Corporation and Bialosky + Partners Architects have been working for two years on plans to reimagine some of the wide, low-traffic streets that branch to all corners of Cleveland and to the Emerald Necklace fringing the city. As a start, the Midway team proposes a one-mile stretch of boulevard-buffered bikeway along St. Clair Avenue between East 55th Street and Martin Luther King Boulevard. Looks like retaining walls are going up to start the foundation for the bridge over I-270 along the railroad line between Sullivant Ave. West (seen in the distance) and Georgesville Rd. (would be behind you in this photo). This photo was taken a few days ago heading north on I-270. This is a major piece of infrastructure that will connect the Ohio to Erie Trail from Cincinnati to Cleveland. 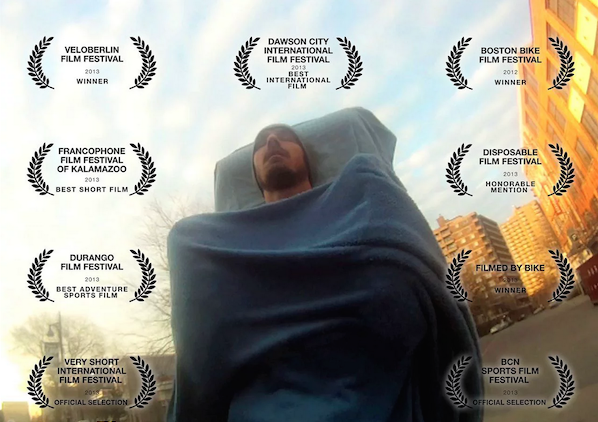 Borderline Stupid from Gunnar Oliphant on Vimeo. DETROIT, MI — The Tour de Troit annual bike ride has grown exponentially since it began in 2001. The event drew 50 participants during its inception race and has grown into a community attraction that featured 6,500 riders last year, making it the largest bike ride in Michigan. Vittoria Katanski, co-director of Tour de Troit, said 7,500 participants are expected at this year’s Sept. 20 ride that goes for 30 or 62 miles, depending on your route. Over 2,500 have already signed up. Since 2005, the Tour de Troit ride has raised over $180,000 for the greenways network and non-motorized transportation projects in Detroit. What happened to Portland’s bike scene? Maybe first it would help to envision what it used to be. There was this booming, diverse, vibrant DIY bike activist and bike fun scene that transformed this city, from Critical Mass to Shift to any number of wild initiatives popping up. Any night of the week, there was some sort of free bike fun going on; anywhere you were in the city, if you were outdoors you were likely to see a mass of people riding by, all of them smiling. People were coming here from all over the country to see what we were doing and how they could replicate it in their own city. People were moving here so they could sell their car and live their dream. We also have had a long-running statewide advocacy organization that’s tended to focus more on legislation and programs. It floundered a lot, and that was too bad, but it was also ok because there was so much else going on. But then, five years ago, all those other things just sort of petered out. People, myself included, would start stuff in bursts and fits, and other people would get excited, but then things wouldn’t really go anywhere. Now you look at any bike events calendar that still exists and it’s all corporate rides, races, mountain bike stuff. Where’d the fun go? Where’d the vibrant, wild, free energy go? More to the point, where’s the activism? In 2007, hundreds of people turned out for a citizen-led rally in response to two tragedies; as a direct result, Portland’s bike infrastructure leveled up. Nowadays, bike infrastructure gets improved when someone at the city feels like it, which is decreasingly often in the current funding climate. When individuals complain about conditions, they’re told to turn up at ill-timed budget hearings or just to become a member of that same advocacy organization that recently announced that they’re going to give the poor folks at the city a break from the minimal pressure they were previously putting on them.